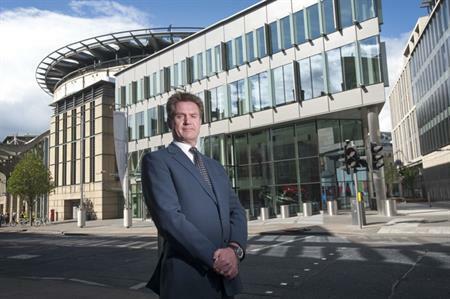 Edinburgh International Conference Centre (EICC) has signed up three major medical association conferences worth more than £3.7m to the local economy. The Society for Acute Medicine will welcome around 1,000 delegates to its 10th annual international conference at the venue from 11-13 September next year, providing a £1.29m economic boost. January 2017 will see the British Fertility Society, the Association of Clinical Embryologists and the Society for Reproduction and Fertility hold their joint biennial conference for 600 delegates and 50 exhibitors at the venue, contributing an estimated £1.04m. Then, in April 2018, the British HIV Association and the British Association for Sexual Health and HIV will come together for their 24th annual conference for 800 delegates, adding a further £1.44m injection. The EICC will be celebrating its 20th anniversary in September. CEO Marshall Dallas said: "The EICC has a long and proud history in medical sciences - with many industry associations from the UK, Europe, the US and the rest of the world choosing Edinburgh for their biggest conferences - and we’re delighted to announce these contracts which are testament to the hard work by the team here."